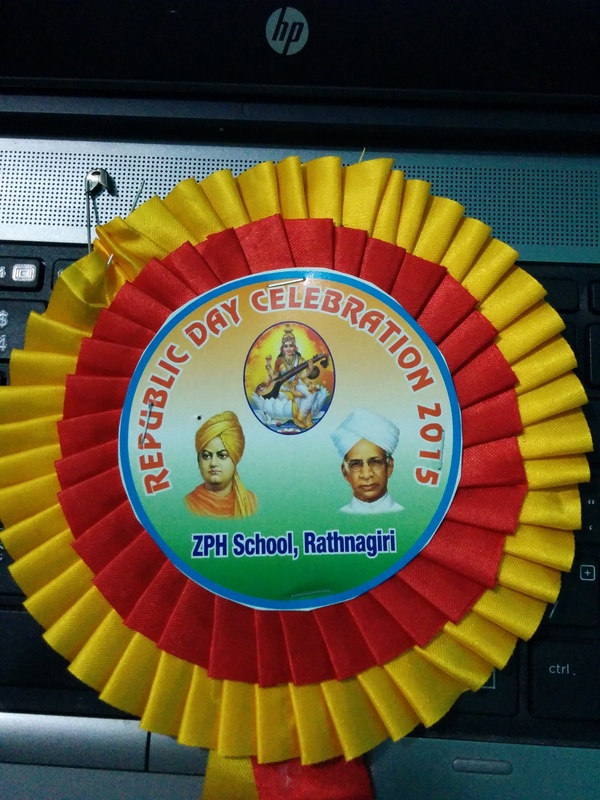 We had a wonderful event back in my school on the republic day, the 26th January. Quite a few of my school friends showed up, and I’m glad that many of them settled well in their lives. Some are teachers, some run business, some are politicians, some are into jobs in private sector, and many girls are homemakers. Kudos to those of my friends that itched the idea of reunion function, main agenda being remembering our old time school teachers. Many of our teachers gladly accepted; our invitation to take part in the function, our small gesture, and our thanks. I’d the pleasure of picking and dropping three of our teachers from their doorstep. We had the pleasure of talking on the stage again on which once we orated very proudly the mugged up speech on the Independence Days, Republic Days, Teachers days, that got interrupted occasionally to be picked up from the beginning. The pleasure of listening to those teachers that tried hard to teach us the basics of everything. It was wonderful. Unluckily, the school, and time has changed things badly. Although the facilities are good these days, the quality isn’t that good at school, or with the education system these days. We had nice experienced, and disciplined teachers. Not now. All in all, it was a nostalgic day, and I thoroughly enjoyed it. I noticed that I’m a changed man, since my childhood. Changed in good ways with some, and bad in others. Isn’t that what makes us; the terrible human beings? !